A survey by Konzepts, a Sussex-based social media and digital marketing company, highlighted that a lack of local jobs is the main barrier to those living in rural Britain gaining employment. Konzepts found that of the 433 people who responded to its Twitter poll 56 per cent of respondents said there was a lack of local jobs, while 23 per cent said the lack of public transport was a barrier to rural employment. The survey also revealed that more than one-fifth of respondents struggle with travel costs. 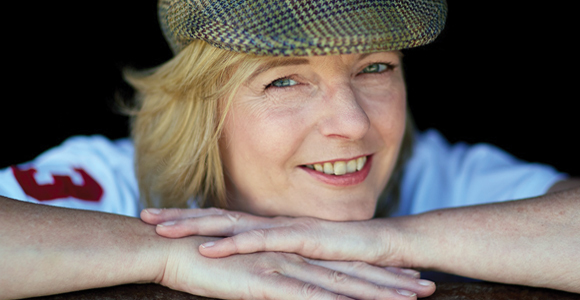 Facing similar challenges, living in rural East Sussex, Konzepts founder Sue Harbottle-Sear struck upon the idea of franchising her business and giving other people in rural areas the opportunity to run their own business. Harbottle-Sear explains: “Farmers are increasingly diversifying by adding a ‘second’ string to their businesses and others are now selling direct from the farm gate in order to increase profits and keep their farms viable. From Christmas tree farms to dairy producers and rural businesses, she discovered that rural enterprises increasingly want to use social media to reach out to and carefully target consumers in a way that has not been possible until recently. Harbottle-Sear continued: “Consumers are benefitting too because they know exactly where produce has come from and when it was shipped, so it will be as fresh as possible. Konzepts says that it is looking to hear from rurally-based people who have a keen interest in the digital world and running their own business as they would be an ideal candidate for its digital marketing franchise. The company reports that it was a regional finalist last year in two categories of the Rural Business Awards South East and that Harbottle-Sear is a member of the Rural Business Group, which as part of a delegation visited 10 Downing Street to discuss the challenges currently being faced by rural businesses. The Konzepts franchise is a ready-made business offering affordable social media management and web design services to the rural business community. Franchisees have the opportunity to earn round £3,000 per month by the end of year one says Konzepts. The franchise can be run from home to fit a lifestyle around work and two people can even share a franchise to accommodate work around childcare. The business is also suitable for people living on a small holding looking to increase their income. The company is currently looking for franchisees in Hampshire, Kent, Surrey and Sussex. Konzepts adds that applicants will have to meet certain criteria and have an ethos that fits with its uncompromising quality, personal service and social responsibility.